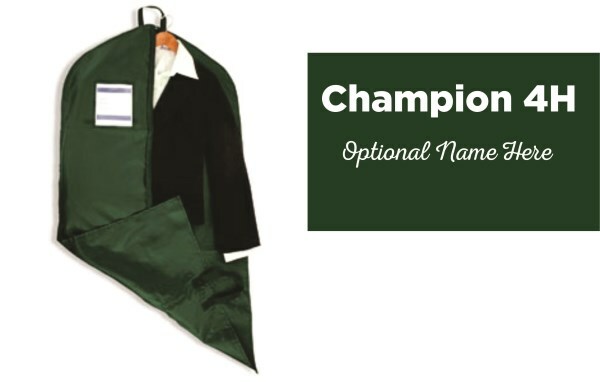 Keep their show clothes clean while they run around, until right before they show with this Champion 4H Garment bag!!!! Name is optional to add below Champion 4H. Garment bags are Dark Green with White Emb.